NOTIFICATION: We extended the deadline. New date on October 10th. We don´t determinate a limits of words or lines for the abstract, but we expect to receive detailed abstracts that should explain the presentation idea with the questions and theorical references you are following. 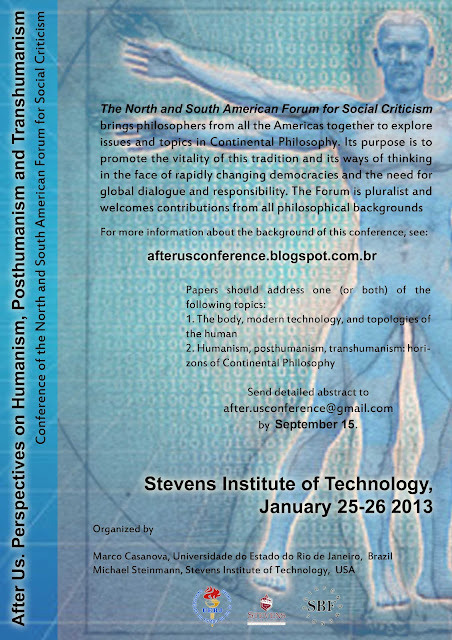 Send abstract to after.usconference@gmail.com by September 15. Transhumanism has become an almost fashionable concern, due to emerging technologies such as genomic medicine or brain-computer interfaces which allow scientists to influence and alter processes previously deemed natural. The most prominent expression of these new possibilities is Kurzweil’s vision of the “singularity,” the irreversible fusion of human life and biotechnology. But besides such recent developments, transhumanism is a concern lying at the heart of many approaches in the field of Continental Philosophy. On the one hand, Continental Philosophy is the heir of the humanistic tradition, with its emphasis on historicity and personal experience. On the other hand, continental philosophers radically question the nature of what it is to be human, up to the point where humanism appears a vain presumption of the subject’s dominance over the various forces governing nature and the life world. Humanism, from this perspective, appears at once indefensible and worth defending. 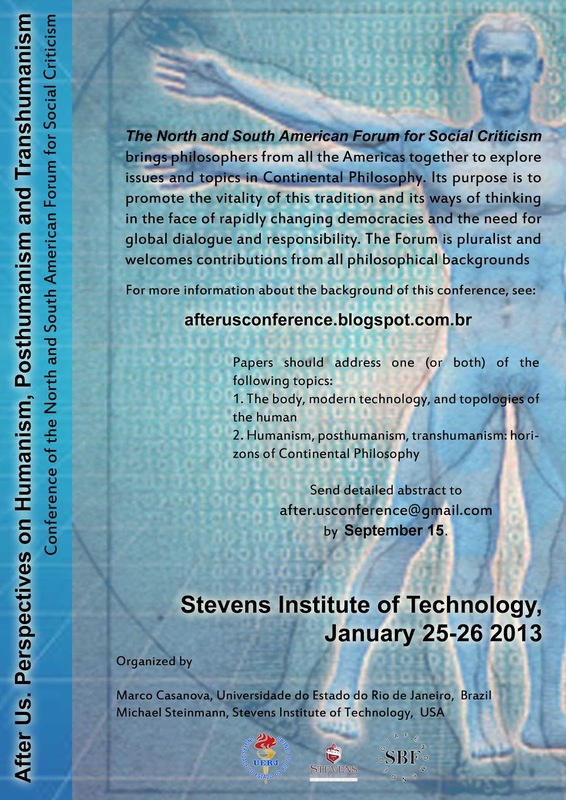 In view of this tension how can philosophy contribute in any meaningful way to the social, political, and cultural problems raised by the recent attempts to declare human nature obsolete? How can it develop a strong and positive yet post-metaphysical notion of the human? These questions concern the very relevance of approaches such as phenomenology, hermeneutics, critical theory or post-structuralism (not to mention more traditional ones) by asking for their capacity to engage in a form of social criticism which would be on a par with the rapid, science-driven transformations of contemporary society.